Air travel is a challenge any day of the year, but the agony is amped up during the holidays. 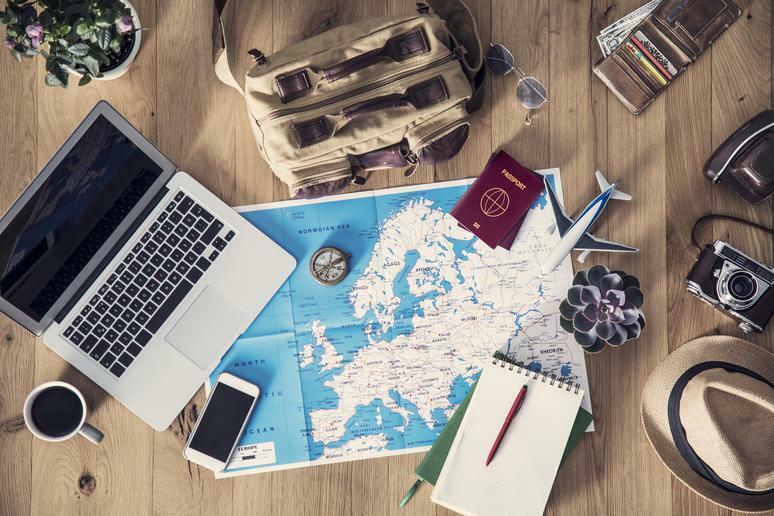 In fact, no matter how far you’re traveling or what method you’re using, you’re likely to run into some issue or another this time of year, whether that’s traffic, delays, cancellations, flu season, or even other angry travelers. Thanksgiving provided a travel trial run with more than 54 million Americans who were projected to travel 50 or more miles (the highest volume since 2005), according to the American Automobile Association. Whether you’re traveling for Hanukkah (December 2-10), Christmas (December 25), Kwanzaa (December 26-January 1) or New Year’s (December 31-January 1), December is set to be a busy travel month. From how to prep for holiday travel to space-saving packing hacks to how to get in the holiday spirit at the airport, we’ve got you covered. To ensure you’re prepared, organized and sane enough to concentrate on celebrating the holidays, check out our holiday travel survival guide. There are few things worse than traveling while sick (canceling your entire trip because of a major illness comes to mind). Consider protecting yourself from the flu by getting a flu shot. Seasonal flu activity in the U.S. typically begins in October and peaks between December and February, according to the Centers for Disease Control and Prevention. Be sure to wash your hands thoroughly during your travels to prevent the spread of germs. 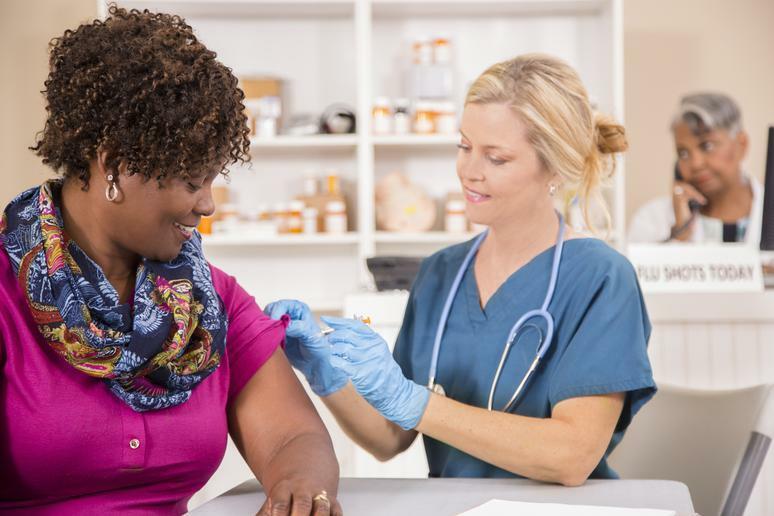 If you’re going to get vaccinated, plan ahead, because it takes about two weeks after a vaccination for you to be protected, according to the CDC. Consider springing for the travel insurance offered when booking your trip, especially if it’s a pricey trip. Before you buy insurance, check to make sure you aren’t already covered by your heath insurance, credit cards, auto club, or homeowners insurance. No matter what you buy, be sure to read the fine print to see what is covered and what isn’t covered. If you’re traveling abroad, make sure you’re caught up on immunizations and, if you need them, get them as far in advance as possible. Don’t forget to get any medication prescriptions filled and keep your immune system up with probiotics and vitamins — talk to your doctor about your options. The holidays are peak travel time, so plan your departure and return dates wisely. 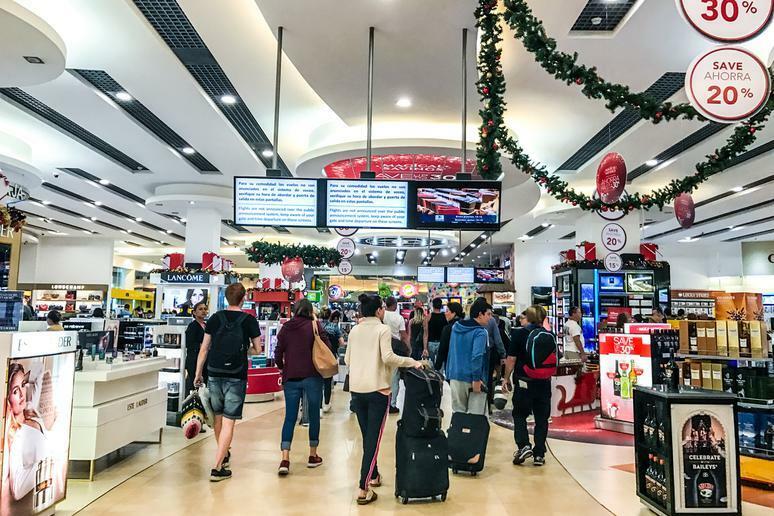 The busiest travel days for Christmas week (December 21 to January 2) and the number of travelers on a particular day can vary across each of the largest U.S. airports. Based on last year’s crowds, travelers may want to avoid taking off on the following days when traveling for the winter holidays, according to AirHelp, a start-up company that helps air passengers around the world secure compensation for delayed, canceled, or overbooked flights: December 21 (New York’s John F. Kennedy International Airport), December 22 (Chicago O'Hare International Airport, Denver International Airport, Newark Liberty International Airport, and San Francisco International Airport), December 27 (Charlotte Douglas International Airport), December 29 (Atlanta Hartsfield-Jackson International Airport and Houston George Bush Intercontinental Airport), and January 2 (Dallas/Fort Worth International Airport and Los Angeles International Airport). 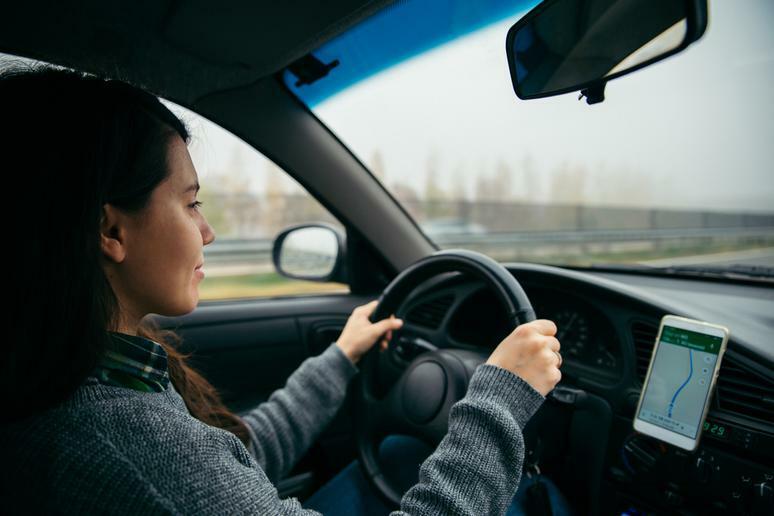 Depending on the destination, you may need to prep by getting immunizations, taking malaria medications, or buying converters or adaptors for your electronics. 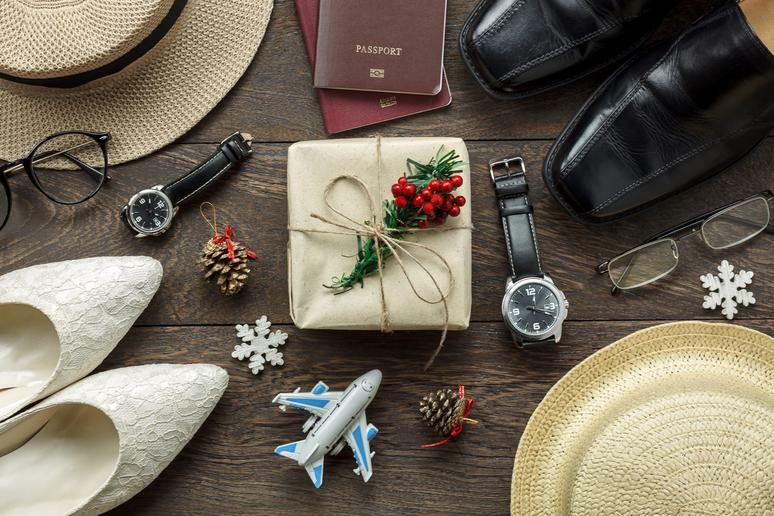 Make a list (and check it twice) well in advance of your trip to make sure you and your family have everything you need, especially all the extras that are typically needed for winter getaways, like hats, gloves, scarves, thermals, lip balm, polarized sunglasses, and suntan lotion. Sign up for TSA Pre-Check to avoid having to stand in line. If you sign up for TSA Pre-Check, it can take a few months to get approved. For instant gratification, consider paying extra for expedited service like that offered by programs like CLEAR and Even More Speed by JetBlue. Before heading to the airport, call the TSA’s toll free line to see what to expect during screening and get questions answered about screening policies and procedures. 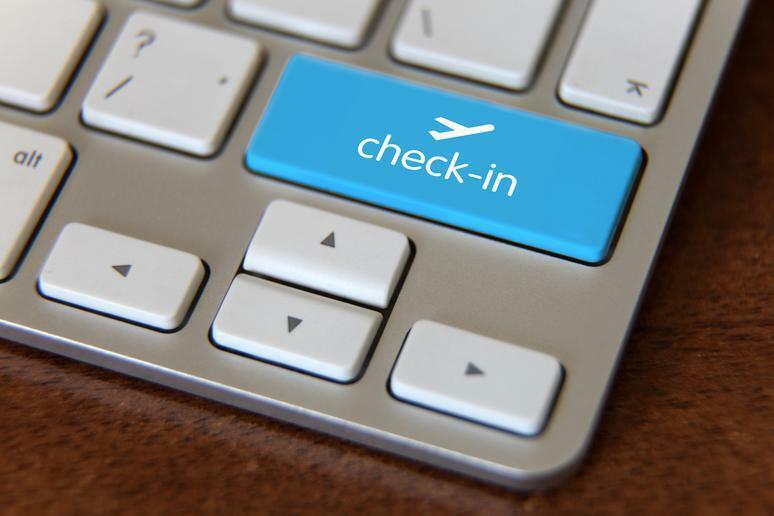 Skip the check-in queue by checking in online. 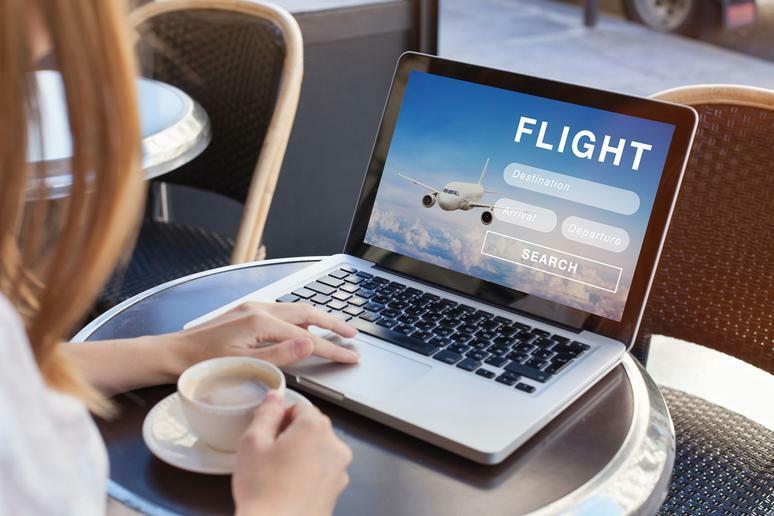 Most travelers can check in online or via their airline’s app 24 hours in advance for domestic flights and up to 72 hours prior to international flights. Use mobile apps like Waze, which crowdsources its traffic conditions, to map the quickest route to the airport. Leave early in case of weather (mobile apps like Dark Sky can provide hyperlocal current and future weather conditions) or traffic delays (even if your flight is delayed). Allow enough time to get through security (two hours for domestic and three hours for international) because TSA Pre-Check isn’t guaranteed to be open and even flights that are delayed could leave earlier than new posted times. Savvy travelers pack light. 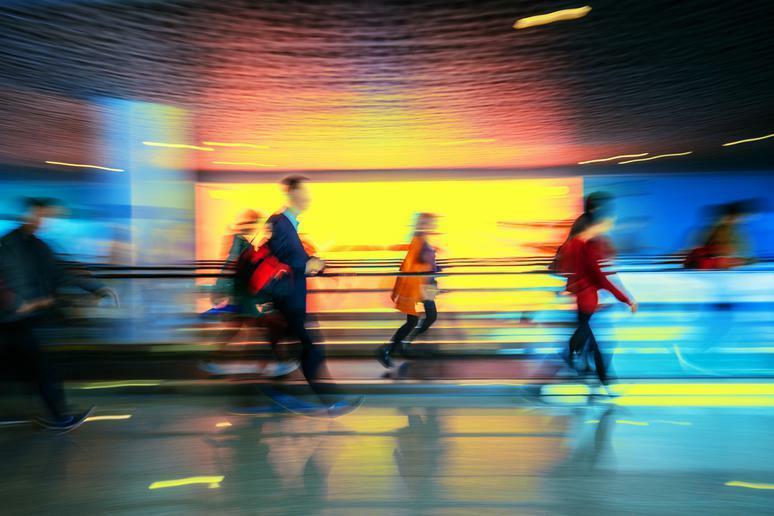 Not only will you save time by not having to wait in line to check your bags nor wait post-flight to collect them, you also won’t have to stress about possibly losing your luggage or paying for checked baggage fees. Try to stick to one carry-on that can fit under your seat, so you don’t have to stress about overhead space. Think you can’t do it? 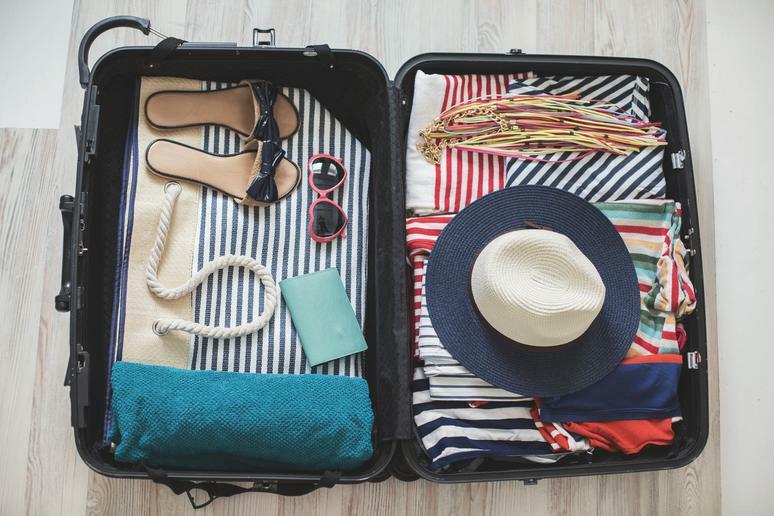 Try these space saving tips: Roll your clothes and use packing cubes to keep clothes compactly configured in your carryon; stuff socks inside shoes and bring only what you need; and skip the toiletries and use what the hotel provides or pick up travel sizes at your destination. Have a favorite makeup or cologne you can’t live without? Stock up on samples to conserve space. Instead of toting gifts for family and friends, consider mailing them ahead of time or buying gifts at your destination. Don’t forget to put the following in your carryon: ID, wallet, tickets, travel documents, medications, cellphone, and laptop. Finally, pack patience. With millions of people expected to fly this holiday season, don’t expect everything to run smoothly. Free apps like meditation app Headspace can help you find a moment of zen amidst chaos. 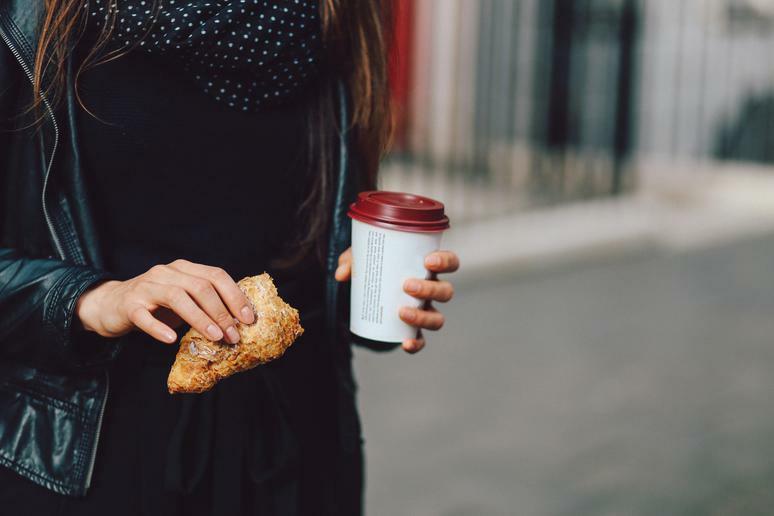 Eat before you leave for the airport, and consider bringing snacks. Avoid getting dehydrated by bringing an empty plastic water bottle through security to fill up with water on the other side. 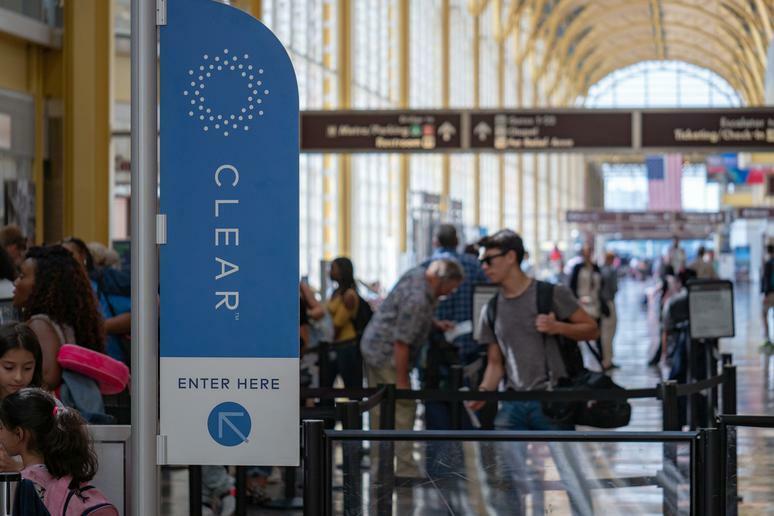 Not only will bringing snacks and a water bottle help you save money, but bringing a refillable water bottle saves the environment, and you won’t have to chug water while standing in the TSA line. 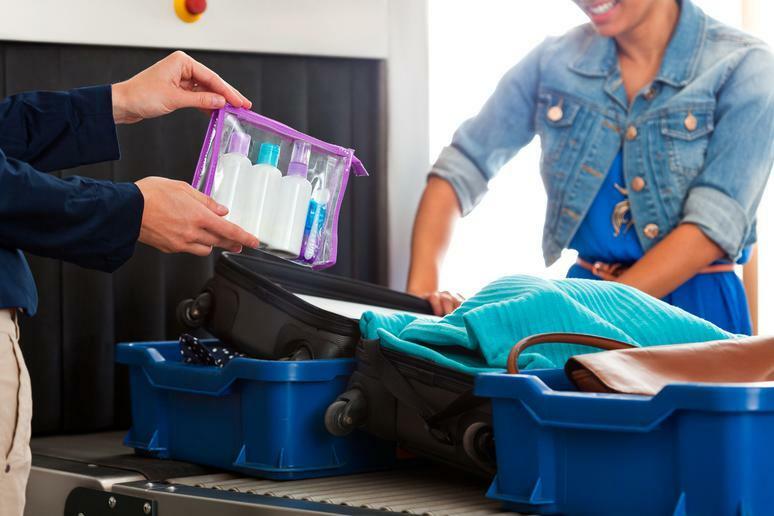 Whether you’re in TSA Pre-Check or not, breeze through the TSA security line by being prepared. Wear a simple, comfy outfit for the flight, so you don’t have multiple layers and complicated shoes to slip on and off; keep your 3-1-1 liquids in a clear, quart-size plastic bag; and save the holiday gift wrapping for your destination (while wrapped gifts are allowed, the TSA discourages this because they might need to unwrap them to take a closer look). 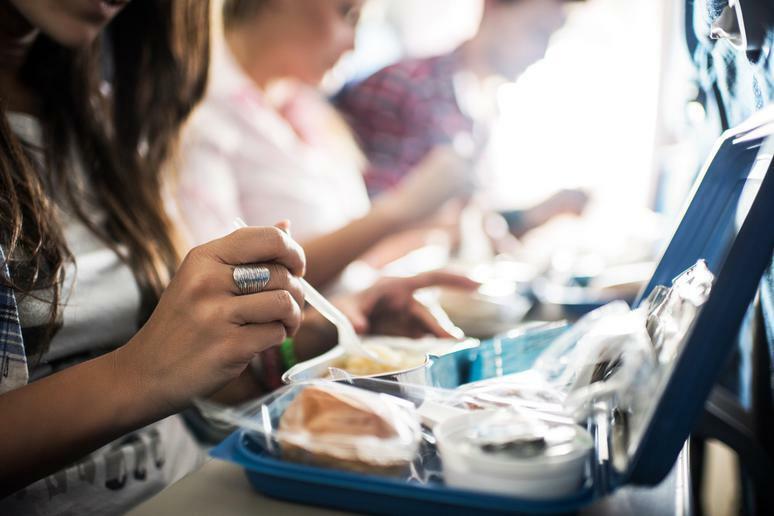 If you’re bringing food, check out the TSA’s guide for what you can bring on the plane. Since you’re likely to come back with gifts, consult the TSA for tips on what can be carried on: Toy weapons should be checked or shipped home, whereas leftovers like fruitcakes, cookies, and turkey can be carried on, but items that are spreadable or pourable must follow the 3-1-1 liquid rule. Not sure what can be carried on? Enter the item in the search box on the TSA’s “What Can I Bring?” web page. Consider downloading MyTSA, a free mobile app that has the most up-to-date policies. If you or your traveling companions have disabilities or medical conditions, the TSA Cares toll-free helpline (1-855-787-2227) has information about what to expect during screening. Delays due to weather and other issues are inevitable, but some flight routes are more often impacted than others. The most disrupted flight routes that typically see the most delays, according to AirHelp include flights from: Boston to Toronto; Boston to Orlando; Chicago O'Hare to New York’s LaGuardia Airport; Chicago O'Hare to Toronto; Los Angeles to San Francisco; New York’s JFK Airport to Los Angeles; LaGuardia to Toronto; Newark to Toronto; San Francisco to Los Angeles; and Seattle-Tacoma to Portland. The most disrupted flight routes that typically see the most delays, according to AirHelp include flights from: Boston’s Logan International Airport to Toronto’s Pearson International Airport; Logan International Airport to Orlando International Airport; Chicago O'Hare International Airport to New York’s LaGuardia Airport; Chicago O'Hare International Airport to Pearson International Airport; Los Angeles International Airport to San Francisco International Airport; New York’s John F. Kennedy International Airport to Los Angeles International Airport; LaGuardia Airport to Pearson International Airport; Newark Liberty International Airport to Pearson International Airport; San Francisco International Airport to Los Angeles International Airport; and Seattle-Tacoma International Airport to Portland International Airport. 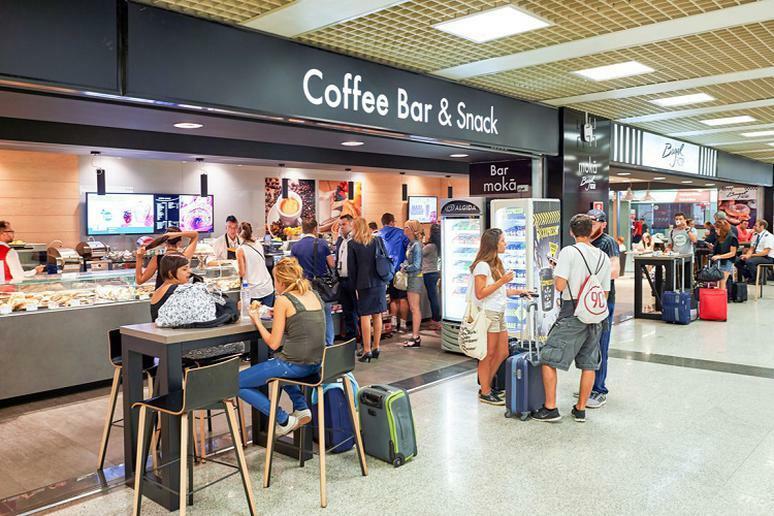 Be prepared for delays by mapping out the airport’s amenities like rooms for nursing infants, pet relief areas, and charging stations for electronics. From pre-flight massages to playgrounds, many airports offer amazing amenities. Some of our favorites include the airport art at Chicago O’Hare International Airport; “Art Chronicles,” the photographic series based on the construction of Denver International Airport; and San Diego International Airport’s Ready, Pet, Go Program, a team of therapy dogs that provide stress relief and comfort to passengers. Many airports decorate their terminals for the holidays and, in addition to lighted trees and holiday displays, pop-up offerings include free ice skating at Denver International Airport and A Wizarding World Holiday at Changi, which includes re-creations of Harry Potter locales Hogsmeade Village, Diagon Alley, and the Whomping Willow at Singapore Changi Airport. Many airports have upped their culinary offerings. Some terminals have exemplary restaurants that are worth arriving early for, like seafood restaurant Obrycki’s at Baltimore/Washington International Thurgood Marshall Airport and Japanese at One Flew South at Hartsfield-Jackson Atlanta International Airport. If you have a layover, the city’s best local eats may just be a few gates away, offering you a chance to try signature dishes like Texas barbecue at The Salt Lick BBQ at Austin-Bergstorm International Airport and at Dallas/Fort Worth International Airport without leaving the airport. Let’s face it. It seems like all of humanity is traveling over the holidays. Escape the chaos in the comfort of an airport lounge. 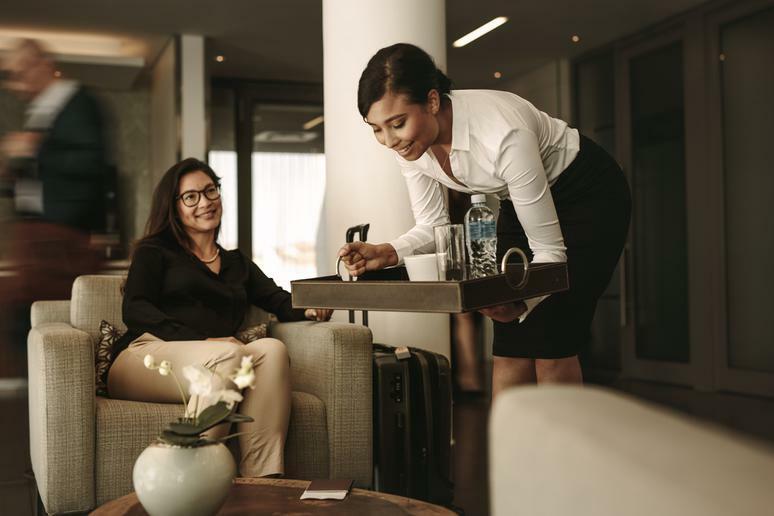 Stays in airport lounges are often thrown in for free for travelers traveling in business and first class on international flights, but domestic flyers can also enjoy them. Other ways to gain entry: Buy a day pass or an airport lounge membership, or swap miles for a pass (better yet, add this to your holiday gift wish list!). If you want to be first on the plane and not jostle for overhead bin space, consider upgrading your seat, be a loyal frequent flier to gain status, or check with the airline to see which zones or rows are boarding first and request a seat in those rows or zones. Flying on Christmas Eve, Christmas Day, and New Year’s Eve might lead to not only less pricey fares in upper classes, but also special perks like free chocolates, Christmas-themed menus, and a midnight Champagne toast on New Year’s Eve. While most airlines have done away with free amenities, there are still a few domestic carriers that do offer free snacks like pretzels and soft drinks on Southwest, and a choice of Cheez-It crackers, Rold Gold pretzels, PopCorners popcorn chips, Terra Sweets & Blues potato chips, and Belgian Boys Choc O’ Chip cookies on JetBlue. Even in coach, there are exceptional culinary offerings on international routes — LATAM, for example, offers restaurant-style dining. Get your vacation started as quickly as possible with this must-do checklist: Don’t check your luggage; sit up front to get off the plane first; check out the airport terminal to map your arrival route; and, if you’re traveling internationally, consider signing up for Global Entry for international travel, NEXUS for travel between the U.S. and Canada, or SENTRI for travel by land from Mexico to the U.S., which are Trusted Traveler Programs run by U.S. Customs and Border Patrol that help expedite travel across borders. Make sure you’ve scheduled an airport pickup from friends or family, a rental car shuttle bus, or a shuttle from your hotel, whether it’s by yourself or done through a travel agent in order to save yourself the headache.